Max miller’s fine art watercolour (diptych) titled Chiaroscuro II has a image size of 134cm x 103 cm or 67 x 51.5 cm each sheet x 2, it was painted using Black Chinese ink and watercolour & lead white on and on archival fine art French handmade paper. The biennial James Kiwi Watercolour Prize began at Wollongong City Gallery in 1994 as a way to highlight watercolour painting in the region. President of the Australian Watercolour Institute and judge David Van Nunen said Wollongong City Gallery had built a strong reputation in the field of watercolour painting over the past 18 years. 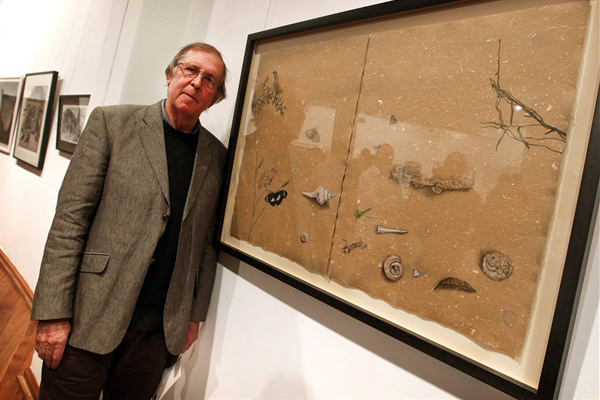 Max Millers painting Chiaroscuro, depicts objects associated with the seashore, such as shells and driftwood, and is painted on delicate handmade paper.